Freshly roasted pumpkin. Creamy rich coconut butter. 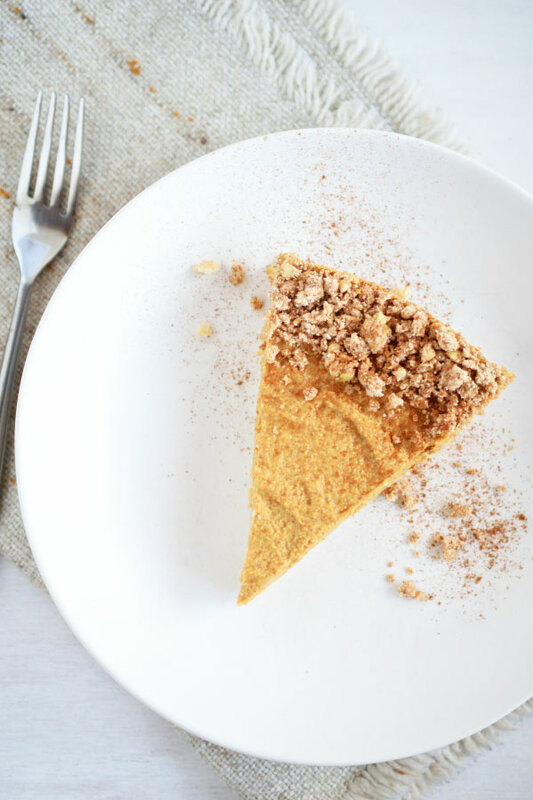 Super simple, healthy, no-bake vegan paleo pumpkin cheesecake. What??? Dairy-free, gluten-free, refined sugar free, soy-free vegan, paleo… you name it, I got you covered with this one. Absolutely delicious? You better believe it! Pumpkin pie was always my favorite Thanksgiving dessert. I know, I know, Thanksgiving is still over a month away, and this isn’t actually pumpkin pie. But come on, when something is this yummy and this healthy, I don’t care if it’s the middle of July, I would totally make it. Plus, this is SO much better than any ole pumpkin pie! It tastes like fall, and with it being super healthy you can make it like 5 (or 10!) times before Thanksgiving and it totally be okay. Mix them until they stick together and voilà! You’ve got a super easy, fiber and nutrient-rich crust (or cookie dough, or crumble topping…) that you can flavor up any way you want depending on what you’re making. 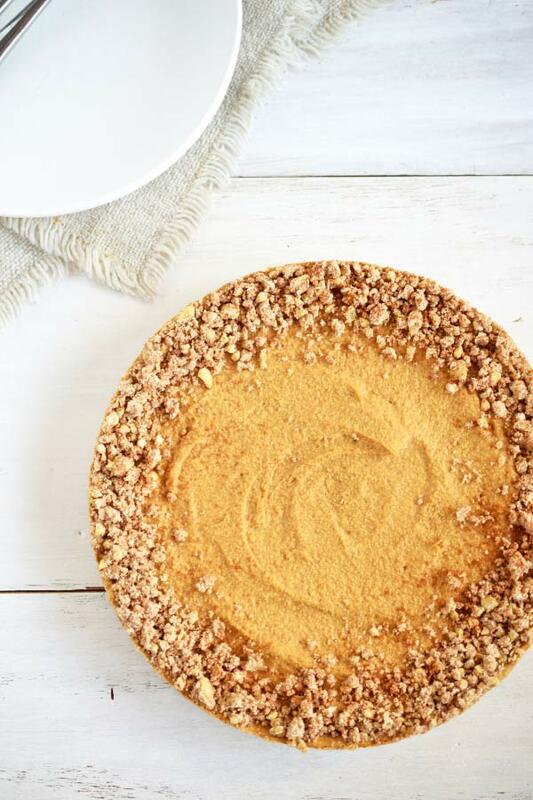 But we’re making pumpkin cheesecake, and we’ve got to have that super rich and creamy filling. One of the best parts about it is that you can do as much or as little of the pumpkin and coconut work as you want. Since there’s fresh pumpkins in season, my preference is to use those and either roast and steam because they’re so much better than the canned stuff! But, you can totally use the 100% pumpkin puree from a can or carton. Same deal for the coconut butter. I LOVE grinding up my own coconut butter in my Vitamix, but you can buy either coconut butter or canned full-fat coconut milk and use instead. Other than that, the filling is only date Paste, molasses, and your choice of yummy fall spices. Oh my goodness, so easy. 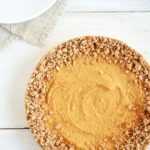 I’m sure this will be your new favorite fall dessert! Top it with whatever you’d like. I sprinkled on some extra crust that I mixed with sprouted buckwheat and pumpkin seeds, and drizzled on some molasses. Enjoy! 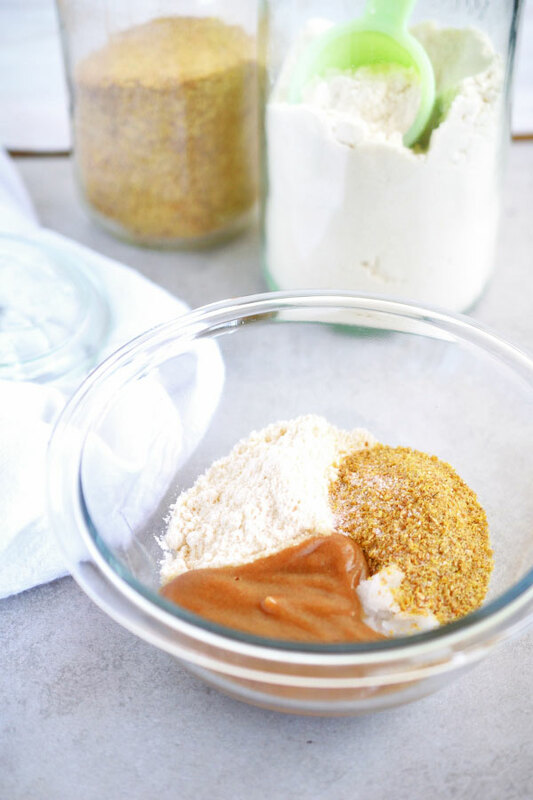 Mix your coconut flour with about ¼ the amount of ground flax, chia, or a combination of both, and a pinch of salt. 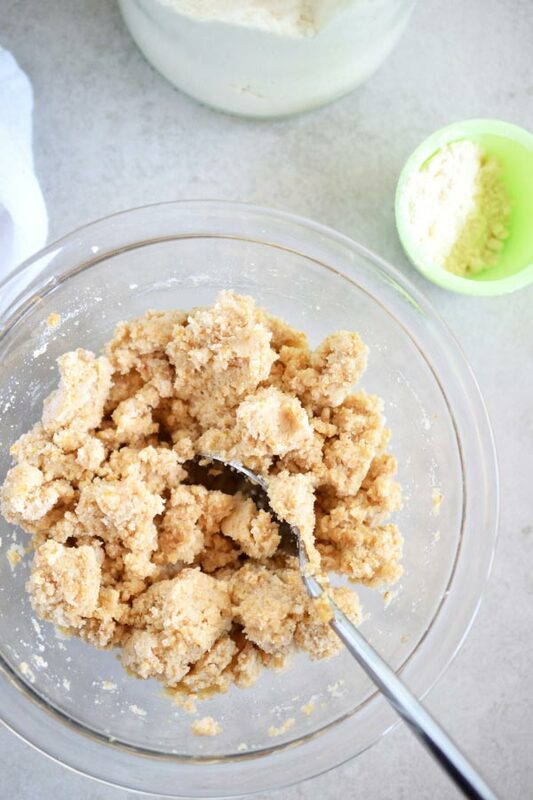 The amount of coconut flour to start with depends on how thick you want your crust. I generally begin with about 1 cup worth (or a good scoop) of coconut flour and then go from there. The flax and chia really help this crust stick together, while adding lots of great nutrients and texture! Drizzle in coconut oil, about ¼ the amount of flour used (just like in the filling, the fatty coconut helps this crust firm up once chilled). Add enough water to the date paste to make thinner, more like a syrup. Begin adding this date "syrup" to the mixture until it easily sticks together. Test your crust by pressing a handful between your fingers. If it falls apart, add more syrup. If it sticks together well, it's perfect. Press evenly into your springform pan and set in your freezer while making the filling. Make it as thick or thin as you like! If roasting your pumpkin, rub with coconut oil, cinnamon, and salt and roast on 400º, or broil, until golden brown. You can steam your pumpkin instead. Blend until smooth. To your blender add roughly equal parts pumpkin puree and coconut butter. The coconut butter will be what helps the cake solidify as it chills, so if it seems a bit thin, add extra coconut butter. It's your choice on the amount of molasses wanted. Maybe you don't want any at all, that's okay. Just use more date paste. I use about equal parts because I love the molasses flavor. If you're hesitant, begin with smaller amounts of both because you can always add more. Add (dump) in whatever spices you want, and however much. I love mine with a lot of spice, but begin with a few shakes and add more after blending and tasting if desired. Add in a squirt or two of lemon for that "cheesecake" tang, depending on what you like. Blend on high, slowly adding in water to help blend smoothly, careful not to add too much as it will not set up properly. Consistency should be super smooth and creamy, and still able to scoop or spread without being too thin (no "pancake batter" consistency). Taste. Is it sweet enough? Do you want more molasses or spices? Is there enough lemon for that "cheesecake" tang? Add more if needed and blend again. Pour this mixture over the crust in the springform pan and spread evenly. Place in freezer to set up until firm. Keep in the fridge. If doing your own pumpkin puree and butter you'll need a good blender, like a Vitamix. However, you can use store-bought puree and coconut butter or coconut cream and use a mixer to blend all ingredients instead. I am going to try this soon!! Can’t wait! I really like the way you explain things and keep it simple. Thank You! When I make this I will post. Currently, I am really into the date paste. The bean desserts and coconut sugar with other bloggers were good but I just had a hard time digesting them. Hi Michele, thank you so much! I love dates so much, they are my favorite sweetener. Beans can sometimes cause digestive issues, especially when they come from a can. I hope you enjoy and can’t wait to hear from you!